If you are a beginner in yoga, you may face many awkward situations, like feeling sweaty, fall on many times on the floor, while doing even some basic poses. But do not be afraid of doing or practicing yoga or attending yoga classes on a regular basis, because everyone faces the same situation more or less at least a few times. Bit by bit practice help you overcome all the things that you are facing and you will feel comfortable in most of the poses. Albeit a few difficult poses are there that are quite tough and you will need more time to make yourself master on that. But nothing is impossible, practice makes a person perfect. Here we have discussed yoga for beginners, especially some basic yoga poses that would be helpful for beginners. Yoga for beginners a real challenge. Even every yoga pose can be challenging for you in terms of your physical endurance as well as flexibility, but you seem to enjoy that, though gradually. Only a week or two may not sufficient for the beginners to make a regular and comfortable on the yoga mat. But you should bear in mind – not to give up. Enjoy each pose with sincerity and clarity, practice in front of a trainer, who will help you to rectify the pose and then involve in a yoga session at home on a regular basis, at least 30 minutes will be sufficient to make you feel confident. Many yoga for beginners is easy, though you should move through a progression of various poses, starting from Sun Salutation or Surya Namaskar to Boat Pose often called Naukasana, where all muscles of your body will be engaged. You will love working on your limbs, stretching shoulders, twisting your torso etc. You may juggle between maintaining the yoga postures and attempting to breathe the perfect way. You may dream of having a hot bath or olive oil massage, but you do not need to. After a yoga session, you will surely feel light, calm, relax and get a sense of relief. 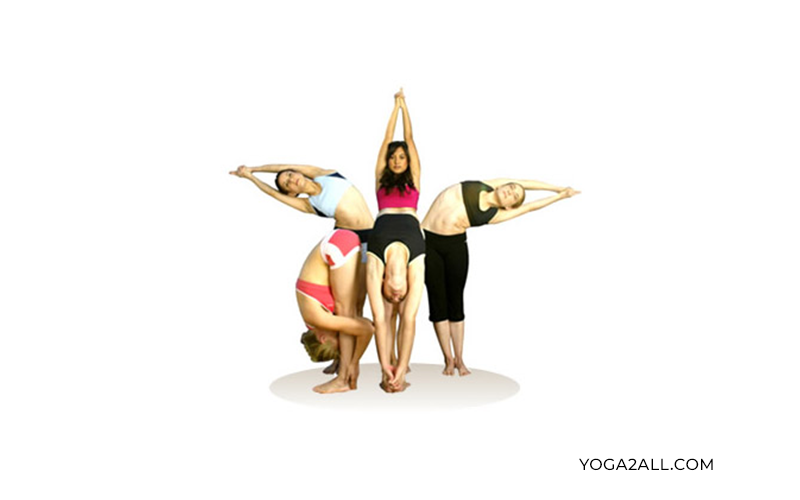 Let us see which poses are for beginners and the benefits of that yoga for beginners. Some people will tell you that yoga is very slow and boring. Whatsoever they believe and tell you, after a few yoga session you will surely come to know that it is an exceptional exercise. Yoga is a primitive form of fitness with a source in India focuses on developing balance, improving body posture, strengthen muscles and improve flexibility as a whole. Yoga is a great exercise. It is for all ages. Yoga for men and women, yoga for beginners and seniors. Yoga can be practiced by anyone, anytime. Do not let anybody misguide you, these are all results of practicing yoga and not prerequisites. Nobody expects you to become a master in yoga poses on the very first day. It is a great exercise. It is all about pushing your body’s limits bit by bit, over time. To start, it is helpful to keep the below-mentioned things in mind suggested by yoga experts. Do whatsoever you easily can. You are primarily expected to move at your own pace. Listen to your body first, and do not push yourself, do not hurry. Be regular in yoga practice. Do not give you, because it is impossible for you to touch the toes in the first go. Do not feel shy or discourage if you lack flexibility or strength. This is not a single day job, practice makes a man perfect. Focus on your breath, right from the first day. Understand each person is unique, so the flexibility and body type. Everybody has a different level of strength, hardness, flexibility, and stamina. Your lifestyle may vary from others, so find a bunch of styles that fit your needs. Ask your trainer if you face any issue. In past, if you have suffered from a chronic ailment or are recovering from an acute injury, you should consult your doctor prior to start yoga. You should discuss with your yoga teacher whether you have any injury or pain in any parts of your body.